If the title didn’t grab your attention, here’s something that might: on May 25th, 2018, any company that collects or processes data of European customers online is subject to enormous fines if they don’t comply with the new GDPR privacy regulations signed into law by the European Union. This fine would be to the tune of €20 million or 4% of a company’s annual global turnover – a penalty with the power to snuff out smaller businesses, as well as severely hurt anyone else unfortunate enough to get caught breaking the rules. The General Data Protection Regulation (GDPR) was officially approved on April 14th, 2016, and companies were granted a two year window to become compliant. That first year is in the rear view mirror, and we are quickly approaching the beginning of GDPR enforcement. If you want to keep your ecommerce business afloat, it’s in your best interest to prepare yourself. Here are four key ways how to do so. Every business that operates online, from Amazon to your local mom and pop shop selling holiday baubles, can be classified as either a data processor or a data controller. A data controller is defined by the GDPR as “the entity that determines the purposes, conditions and means of the processing of personal data.” This entails most retailers, ecommerce businesses, and websites that (intentionally or unintentionally) collect the information of European web users. Past regulations, such as those from the Data Protection Act, were directed toward data controllers. However, the GDPR has specific statutes that apply to processors, holding them more accountable than in the past. If your company processes data, make sure you understand these new rules to avoid problems down the road. Physical characteristics, such as body weight, height, etc. 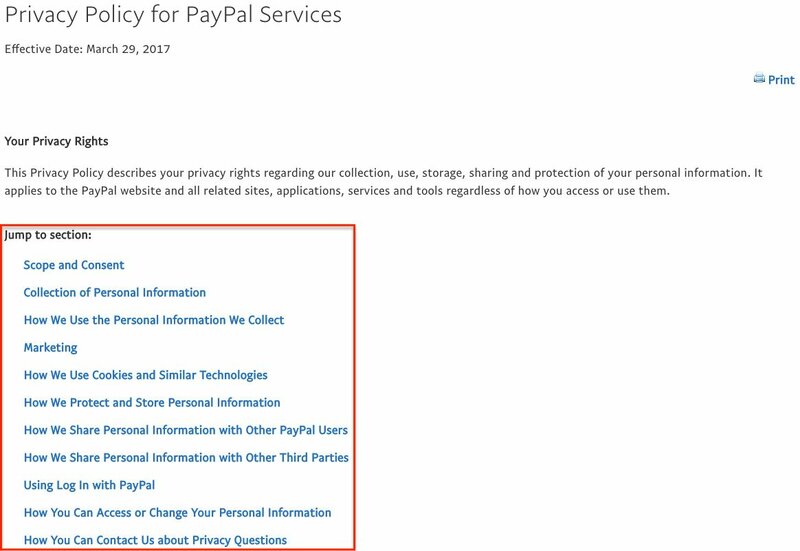 Such details about a customer are more private (thus the “sensitive” designation), and if your company wishes to collect them post-GDPR you’ll need explicit consent. 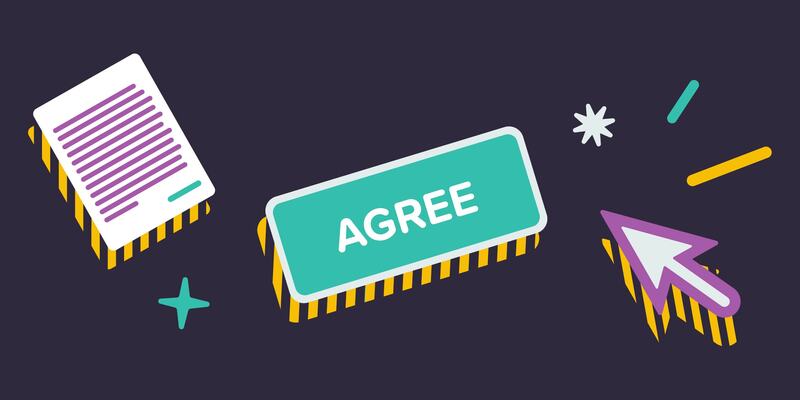 To understand what that truly means, it’s important to consider the two primary ways websites elicit consent: by using clickwrap agreements and browsewrap agreements. Once the GDPR is enforced, clickwrap will be the safest bet for conveying policy details and future updates to your customers. If you need “explicit consent” before gathering user data, you 100% need to use clickwrap. If you only plan to collect “personal” information, then you can still use browsewrap – but you’re leaving yourself open to potential scrutiny. For an idea of what clickwrap looks like in action, take a look at the screenshot above. 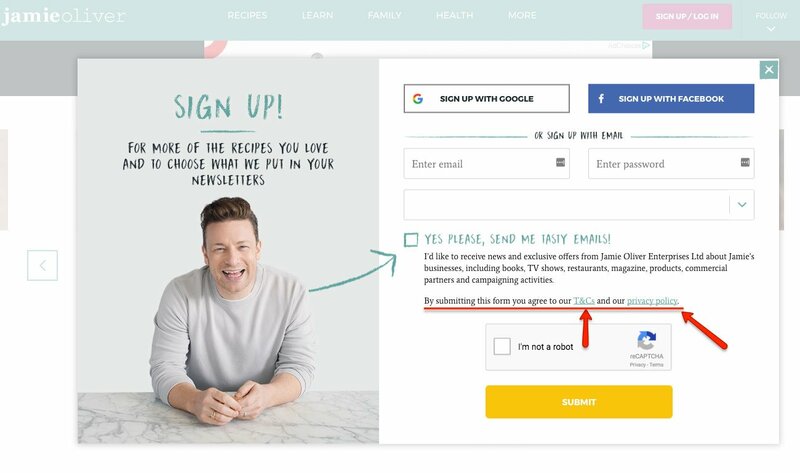 If you want to sign up for newsletters and recipes from Jamie Oliver’s website, this popup will appear – very clearly stating that you agree to their terms by submitting the form. Links are also included to those policies, giving users easy access to them (unlike before, when they were often buried in the footer). If you plan on collecting sensitive personal data online, this is the new norm. If you think this is too obtrusive, consider the pros and cons of both methods before making the decision. The heart of GDPR legislation can be boiled down to one word: transparency. Collecting user data will soon be substantially more regulated, and companies will need to be much more open with what data they’re drawing from their users. Making your terms and policies clearly visible is an important step toward compliance, but ensuring that their content is easy to understand is equally important if you want to avoid a lawsuit. 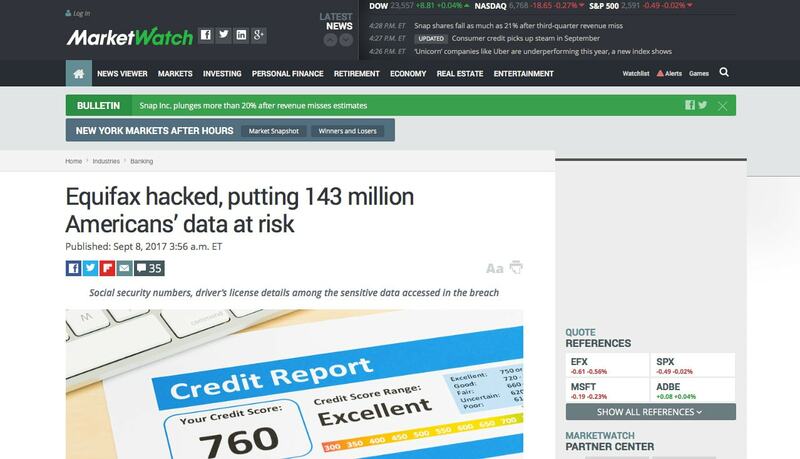 On July 29th, 2017, the credit-score company Equifax realized their users’ personal data had been compromised – the result of an enormous security breach believed to have impacted 143 million Americans. Over a month later, this breach finally became public knowledge (after several executives sold their stock, of course). Even though Equifax primarily serves U.S. consumers, Europeans use their services as well, which makes their delay an illegal one in the eyes of this new legislation. Article 33 of the GDPR states that companies must notify supervisory authorities within 72 hours following the discovery of a data breach. While this might be a difficult pill for many businesses to swallow, it’s a necessary one that benefits consumers and holds companies accountable for securing the personal information they collect. If you’re able to avoid compromising situations, great. However, if something does happen, it’s important to be transparent and move quickly. Getting the full force of the GDPR levied against your business will be at best a huge financial inconvenience, and at worst a catastrophic one. 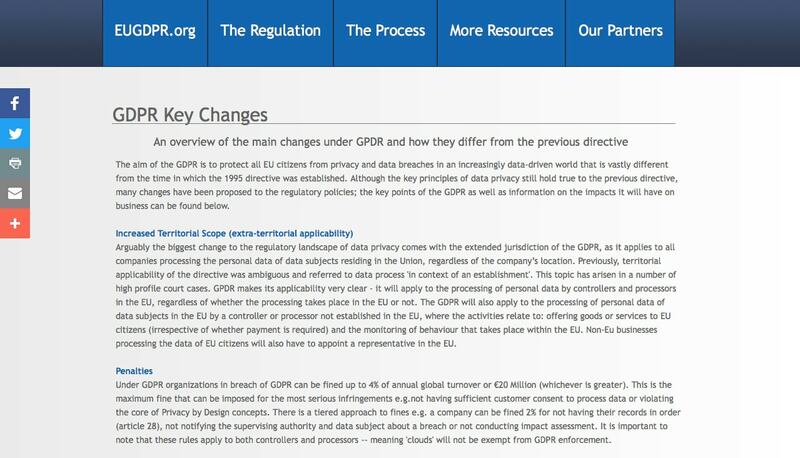 Preparing for the GDPR in totality will take some serious effort by businesses. In the end though, this is a good thing for both companies and consumers, and will help shine some light on the darker areas of online data collection. Be on the right side of history, figure out how to comply to this new legislation, and avoid the steep fines that will soon start costing businesses millions (because paying fines, regardless of who you are or what you do, feels like setting money on fire). 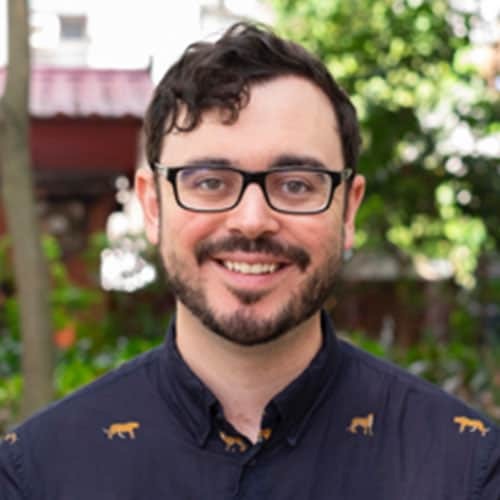 Geoff Scott is a product specialist and editor at Compose.ly, where he collaborates daily with writers and clients to ensure an increasingly smooth workflow. When he isn’t chugging coffee or plugging away on his laptop, you can find him reading his Kindle or at a local concert venue dancing the night away.